In addition to the aesthetically pleasing appearance of well-kept footwear, proper shoe care also improves the durability of your shoes′ materials so they can go on looking fine. 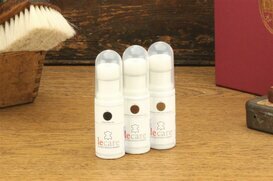 From shoe cleaner and impregnation spray to the right shoe brush, we can offer you a wide selection of care products that makes shoe care as easy as possible and gives you the best results. Shoe Care Tip: When to use shoe wax? 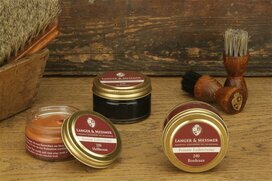 Unlike shoe cream, shoe wax does not penetrate the shoe due to its consistency. Therefore, it is ideal for impregnation, as protection against moisture and dirt. 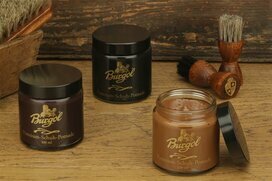 Both combined results in the ideal smooth leather shoe care. Polishing with shoe wax provides a particularly beautiful shine. 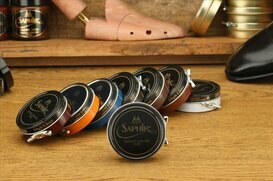 In our assortment you will find different shoe wax options, for example the high gloss wax from the top French brand SAPHIR. 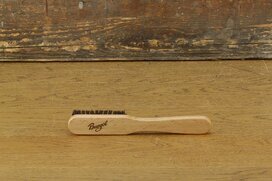 Which shoe brush do I need when? 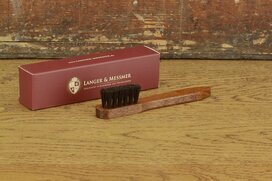 The question of the right shoe brush starts with the distinction between rough and smooth leather shoe care. 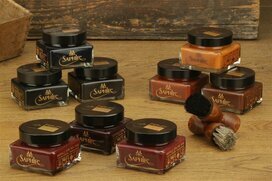 Shoe care brushes with crepe lamellae for the first rough cleaning and special brushes with brass and nylon bristles for the best end result are suitable for nubuck and suede leather cleaning. 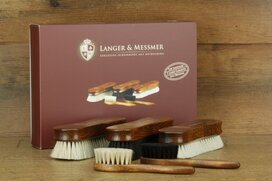 For smooth leather care we offer complete sets with 4 or 5 different shoe brushes. From a cream applicator brush to a high gloss polishing brush you are perfectly positioned for dedicated shoe care and also save money compared to making single purchases. 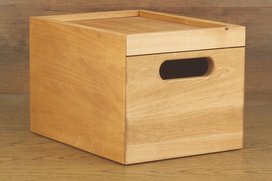 Tip: For shoe care with that certain something, we recommend one of our fine shoe care valet boxes. This not only gives you a nice selection of care products and shoe brushes in a decorative wooden box, but also saves you money. 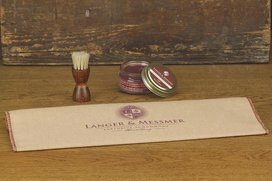 The boxes, which are available with or without care products, are also ideal gift idea. Please contact us! We are happy to advise you by phone or in our shop in Heidelberg.